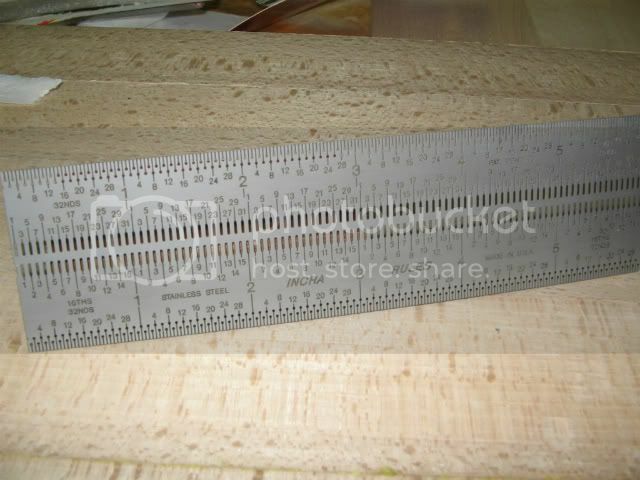 'Incra Rule' Marking Ruler..an indispensible tool! I purchased this recently online, and was thrilled to get a first hand look at it when it arrived. 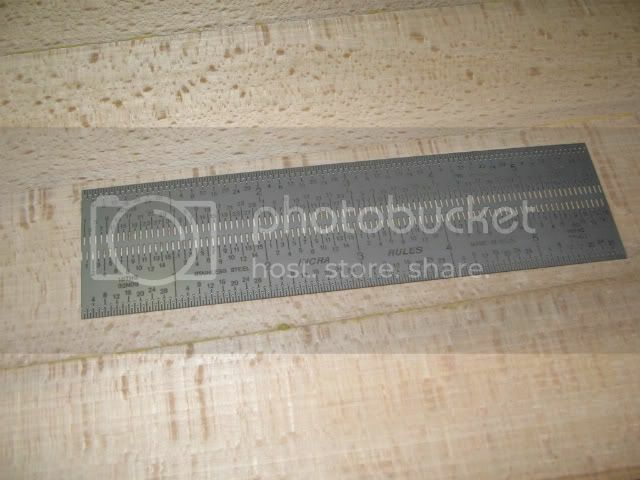 It has micro-fine slits precisely every 1/32 inch, so that you can lay out lines with absolute precision. The holes are pierced for a 0.5 lead mechanical pencil, or a very sharp conventional pencil. I don’t like making random dovetails. Yeah, I know, some eminent craftsmen simply touch down the handsaw and cut….but that just goes against the grain (heh) of my own approach, that is, to handcut perfectly identical, symmetrical pins and tails. It’s just the way I want to work. This rule will get me closer to near-perfect size and spacing of my dovetails. It’s the missing link in my layout tools, I’ve been using machinist’s scales forever, but they can go to the back of the tool chest now. I also want to use this in conjunction with my recent handmade chute board device, it will come in handy there as well for setting up perfectly sized stock for drawer sides and other components where precision is important. I’d recommend this tool to anyone who wants to take layout work up a notch. And to think I’ve often relied on the floppy hook of a tape measure for precise marking sometimes! I think I’ll shop around for the longer version of this, there’s gotta be a 12” or 18” model available as well. This is a must-have item! I own an incra 6” square. Made on a similar idea to this one. I wouldn’t have thought it but over the last year or so anything under 6” I grab it and use it all the time. I bought the 12” version about a year ago. I promptly made a storage box for it. I use it constantly when precision is warranted. I have 3 of the Incra rulers and protrators. Love them. Takes a little to get use to using them but nothing comes closer the accuracy they give. The 3” and 6” T-squares are awesome as well as the corner (Bend) rule which enables you to mark the face and edge at the same time . I also have the 12” rule. : ) These are all worth the money !! I bought the corner rule a couple of years ago (12” length)...it is absolutely awesome to use. So much easier marking or measuring something down to 1/32nd of an inch, as opposed to trying to count the markings on a tape measure!